If you are looking to rent a holiday home near the Quiberon peninsula, contact Kérabus campsite on + 33 (0)2 97 52 24 90 for availabilities. 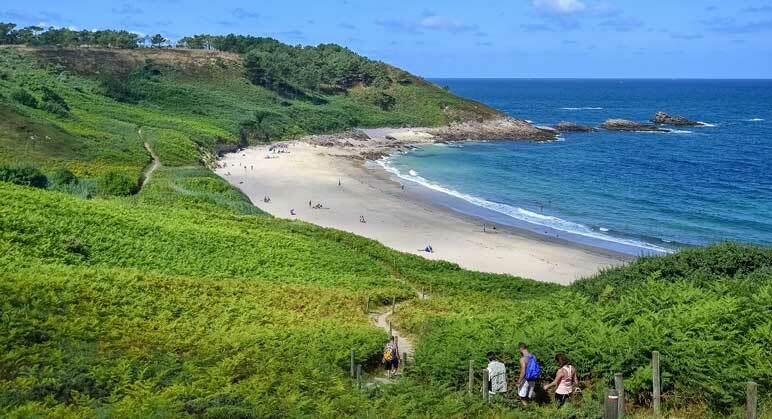 Located 18 km from the campsite,Quiberon is a lively coastal town renowned for its wild coast, sandy beaches and summer entertainment on the seafront – a definite must-visit during your holiday in the Gulf of Morbihan. Take a wander along the wild coast or relax on one of the beautiful sandy beaches. 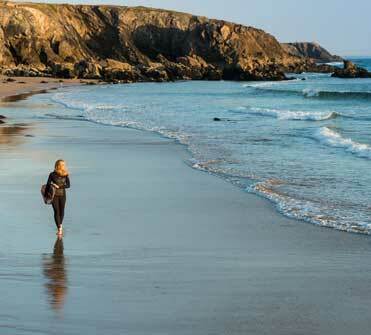 Quiberon offers a variety of different preserved landscapes which are sure to delight hikers and walkers. Stop off at the Beg-er-Goalennec headland and admire the breathtaking view over the ocean and Belle-Ile-en-Mer. You can also take a ferry from Quiberon to visit the Gulf of Morbihan’s islands: Belle-Ile, Houat et Hoëdic. View further information onthe Quiberon peninsula.